For an upcoming show at the Madison Public Library Gallery, I decided to remake my interactive piece Pung (see old versions here and here.) 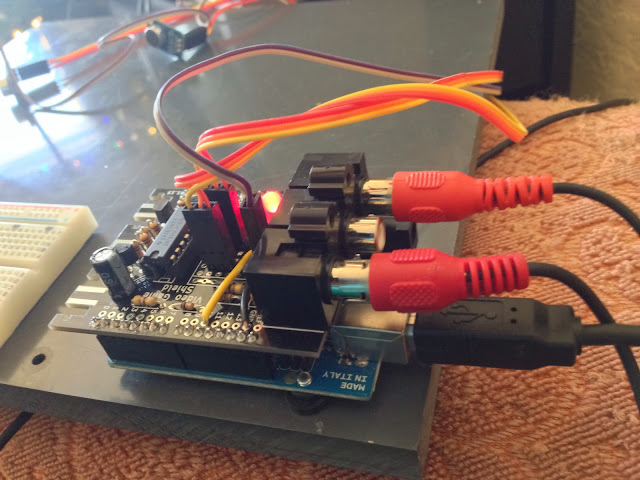 Versions 0.3 and earlier required a hidden laptop to run, so I decided V 0.4 would run solely on an arduino micro controller. 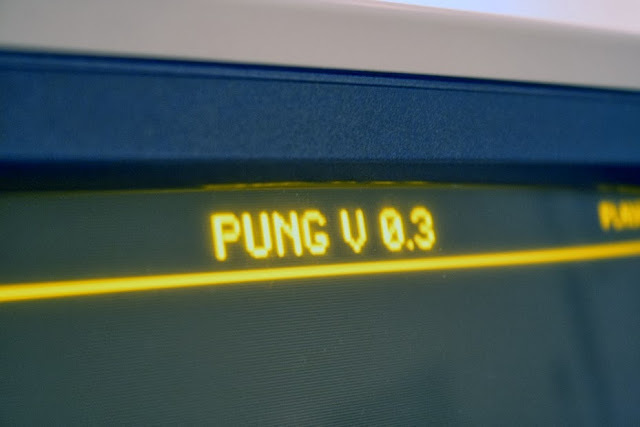 The new Pung utilizes Wayne and Layne's open-source Video Game Shield along with the TVout library for Arduino. 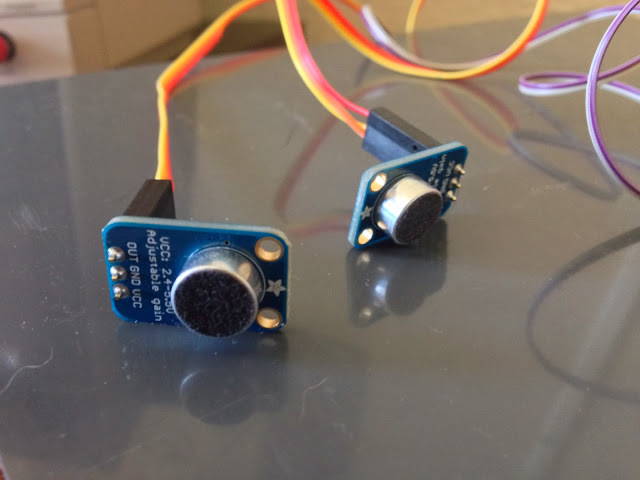 For audio input/interaction, I'm using two electret microphones and breakout boards from Adafruit, here. Still some debugging to do, but the software is working well enough to show in Madison next week. The next step is installing the new system inside of the old Pung console-case. If anyone is interested, I will most likely do a build detail on this project in the future. I'd love to see more build details about this. My neighbor and I really had a fun time with this piece at the recent Madison show, and it would be even more fun to try making one. very useful and experienced http://write-my-essays.org/grademiners-com-review/ information and facts through the website.it's a genuine good write-up.